The range of talks at Med-Tech Innovation Expo means that there is something everyone. Whether you’re a manufacturer, a company representative or simply an interested visitor, Med-Tech Innovation Expo has something for you. On day one of the show Lorna O’Gara, development manager at Ultrapolymers, will talk about the importance of polymer selection for flexible materials. 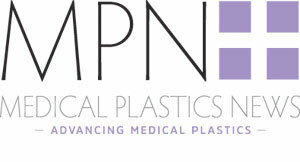 The discussion forms around the increasing need for medical device manufacturers to replace incumbent phthalate-and plasticizer-based materials. Due to regulatory changes coming into effect, the need for inter-material replacement is real and growing. O’Gara’s talks looks at inter-material replacement options for flexible PVC, using flexible tubing as the main example but also looks at application developments beyond this market segment. She will address the topic from a regulatory, technical and commercial point of view and will also look at typical application areas and offer some alternative polymer choices.